The Planning Board unanimously declared the Bancroft property an area in need of redevelopment at its meeting on Jan. 5. No opposition to the ruling was there that night. In September, commissioners asked for a reinvestigation of the property to determine if it is a redevelopment area, as a reassertion of the 2005 ruling and to create redevelopment plans for the area. At the October Planning Board meeting, planner Philip Caton of the Trenton firm Clarke Caton Hintz, representing the borough, gave his testimony as to why the Bancroft site should be listed as a redevelopment area. Caton listed five conditions at the site that are persistent problems, qualifying Bancroft for redevelopment — parking, traffic circulation, storm water management, impervious surface coverage, and the conditions of its buildings and grounds. The ruling was tabled twice after requests from Recovery Centers of America CEO and developer J. Brian O’Neill’s holding company, II Hopkins Lane, LLC’s attorney Jack Plackter. 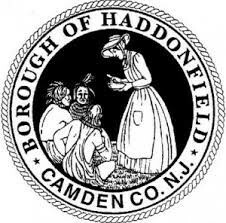 With the second tabling, Plackter revealed a tentative agreement signing over the Bancroft property to Haddonfield was very close to being reached. According to Borough Solicitor Mario Iavicoli, the two parties have come to a settlement with a purchase price agreement, development agreement and other agreements, however there hasn’t been a final agreement. The redevelopment proposal would still need to go through, regardless of whether an agreement is made. When it came to the Planning Board’s time for discussion, the question of where the borough and the developer were came up. However, nothing has been revealed. “Do we have an update on where things stand vis-à-vis the borough and the property owner?” board member Douglas McCollister asked. The formalized ruling of the property will now go to the commissioners. The commissioners’ next meeting is scheduled to take place on Tuesday, Jan. 12 at 7:30 p.m. in Borough Hall. Pending formal action at that meeting, the borough could present a formal redevelopment plan at the February planning board meeting.